Getting back into the swing of uni can be a bit of a shock to the system. But nothing could soften the blow quite like a nice little influx of A/W items. Like every savvy fashionista, I've spent some time searching for the perfect coat and boots to see me through this seasons harsh weather, and although I've yet to decide on the coat, settling for the boot was an easy choice . . . yes, I saw you eye up my new shoes, and your thinking "but how can a student afford those gorgeous Givenchy-esque boots!?" 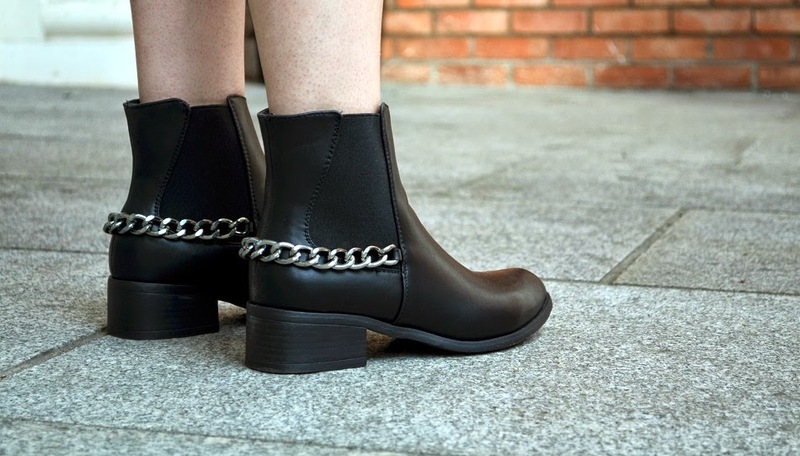 You see these fab boots aren't Givenchy, but in fact a purchase from the very new (and very fabulous) F&F online clothing store, which is finally available here in Ireland! You can check out the new site here, and if you're in need of a little inspiration, have a look at the "how you're wearing it" section here. P.s did I mention that the boots were only €25! Such a gorgeous look ! LOVE the jacket, the skirt and shoes ! The boots are definitely gorgeous, stunning look by the way. Absolutely love this outfit, and those boots!! I love the combination, one I would definitely love to try.